This is the perfect dress for all of those ladies who love to bake. Or maybe for all those girls who always dreamed of being that little bride figurine on top of the wedding cake. Now you can be that statue come to life with a dress filled with cupcakes. 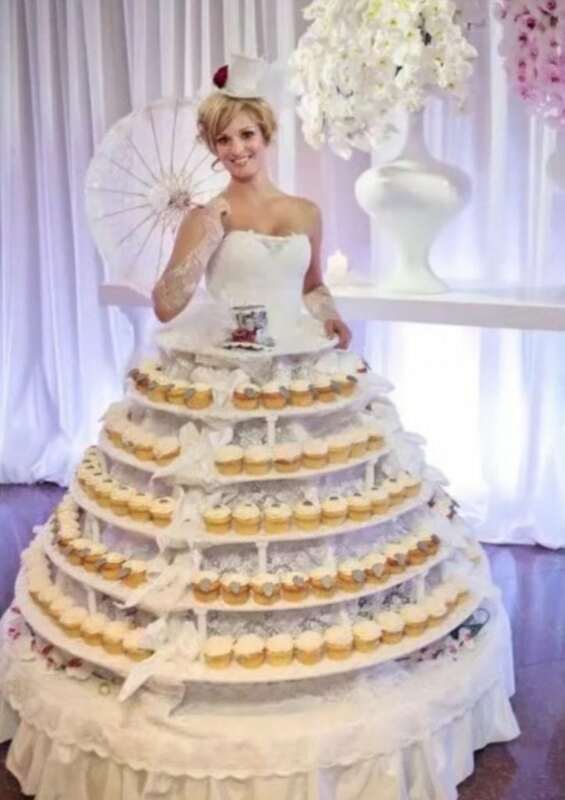 You’d just have to be very careful how you walk around because you’ve got hundreds of cupcakes perched precariously on your dress ready to fall at any second. Therefore, you’d have to make sure that you were the main attraction at the sweets table and that the guests ate every last cupcake from your dress and then you’d be able to dance and dance with your groom into the wee hours of the morning. Until the photographer wanted to take more photos of you and insisted that your bakery dress get a refill so that the photos would come out looking sweet.